The rush to tan has just begun and our skin needs attention more than ever. In addition to suntan lotions and sunscreens, there are some foods we can eat to get a perfect tan and keep our skin healthy, beautiful and youthful. 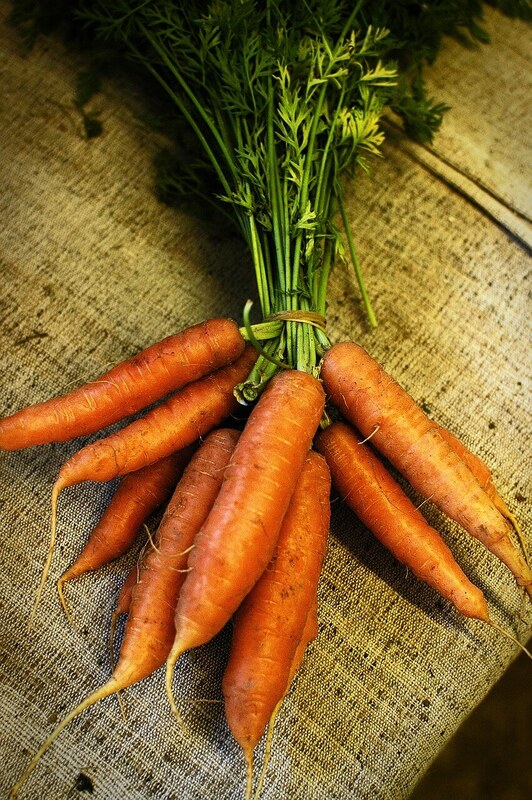 Carrots are known because they are loaded with beta-carotene and promote tanning. They are the typical food to eat on a regular basis if you want a perfect tan. Doctor Stephen from Nottingham University carried out a research showing that eating foods packed with large amounts of beta-carotene positively affects our skin and its color. Yet, eating huge amounts of carrots may cause a disorder called carotenosis, characterized by high carotene levels in the blood, making skin orange. In order to make beta-carotene absorption easier, it is advisable to eat cooked carrots and seasoned with extra virgin olive oil or oily seeds. Cantaloupe melon is a fruit extremely rich in beta-carotene too, and it is a cheap way to get a beautiful natural tan. What is more it is loaded with vitamins, minerals and antioxidants – helpful to battle fatigue when it is very hot outside. We all know extra virgin olive oil has countless qualities, both as a precious cooking ingredient and as a health ally. The EVO (extra virgin olive oil) is extremely rich in antioxidants, helping protect our skin, hydrate it and make it look healthier. In addition to adding a spoonful of this beauty elixir to our summertime salads, thanks to its antibacterial and anti-inflammatory properties, we may also prepare face masks, or use it to cleanse and hydrate our skin and battle pimples and black spots. The Nettle is a medicinal plant famous for its anti-inflammatory and detoxifying properties. Thanks to its cleaning-up action, consuming nettle may prove helpful for all people who suffer from eczema or acne. You can consume nettle in lots of ways: as an herbal tea, in salads (finely chopped leaves) or boiled (side dish or soup), or you can simply take a nettle extract supplement. 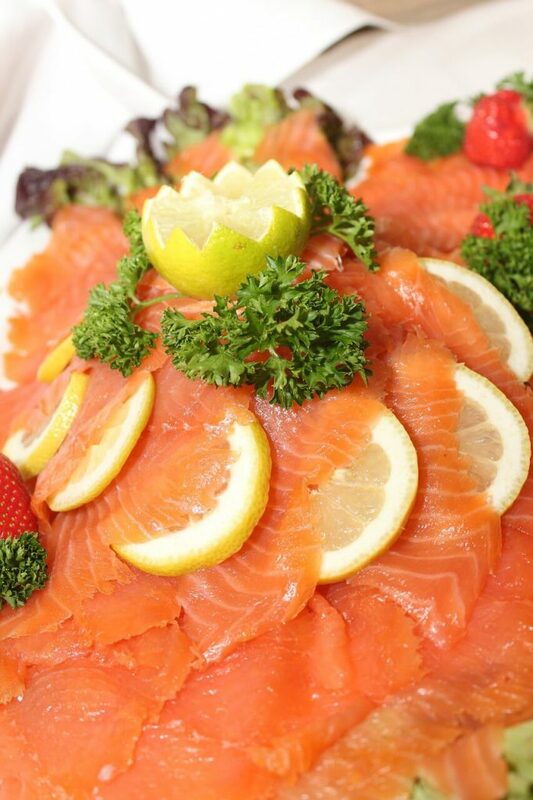 The salmon contains large amounts of Omega-3 fatty acids, which are skin-friendly, as they make skin smooth and hydrated, have anti-inflammatory properties and aid in battling redness and acne. Kale is quite famous as it is an actual superfood. It is packed with large amounts of vitamin A, useful to protect and hydrate our skin during summertime. What is more Kale is extremely rich in Vitamin K, helpful if you want to get a natural and uniform color of your skin and protect it from blemishes, and vitamin C – a perfect antioxidant to protect skin from sun ray damage. Peppers too are extremely rich in beta-carotene, vitamin C (four times as much as citrus fruits, such as lemons or oranges) and the skin-friendly and tan-friendly vitamin A. Tomatoes too are packed with large amounts of carotenoids, helping get a nice, natural and uniform tan. Strawberries, raspberries, blackberries, blueberries and other types of berries are loaded with antioxidants, help battle ageing, strengthen and protect our skin from sun rays. All the berries are rich in anthocyanins, known as they promote collagen production. Peaches are loaded with vitamin C, beta-carotene and alpha-hydroxide acid, aiding in battling ageing. 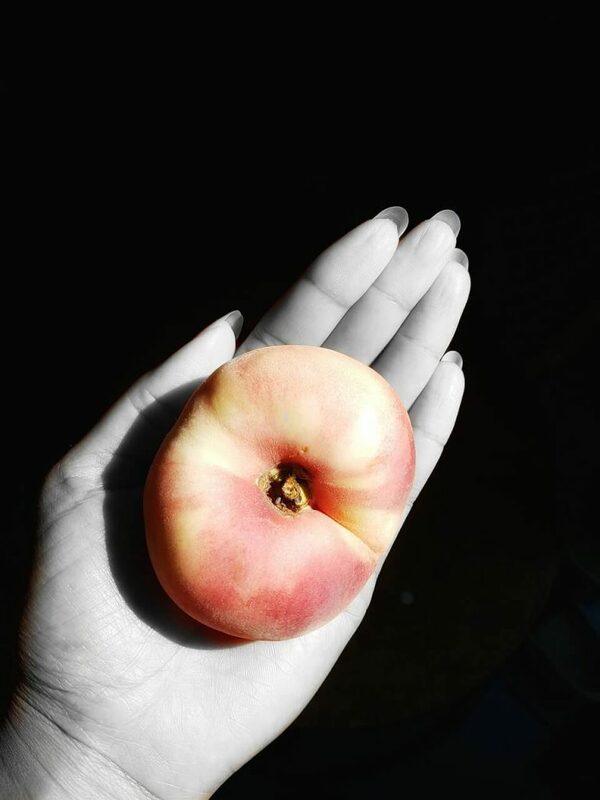 Not only does eating peaches give our skin a better color, but it also protects it from UV rays and ageing. This tropical fruit is extremely rich in Vitamin A and Vitamin C, promoting the production of collagen and giving our skin a bright and youthful look. Many of you now will say eating chocolate results in pimples, although eating a little piece of dark chocolate a day may even help protect skin from imperfections. Dark chocolate is a valuable source of antioxidants. The flavonoids cocoa is packed with help keep our skin soft and hydrated. Almonds, just like walnuts and seeds (sunflower, poppy, sesame) have valuable anti-inflammatory properties and help alleviate redness and acne. Almonds are packed with large amounts of magnesium, Omega-3 and vitamin E – helpful for keeping our skin healthy and glowing. Lemons have countless health benefits and are loaded with vitamin A; since they promote the production of melanin – a pigment responsible for the color of our skin. Obviously eating the right foods is very helpful, but don’t forget that drinking the right amount of water (8 to 10 glasses) is also very important if you want to get a perfect tan and keep a healthy skin during summertime. Thank you for reading and if you find this article useful, please comment below and share it so other people can benefit from it as well. Nettle, Kale, Berries and Lemons are my favorite foods for the summer. This was such a good and fun post. I enjoyed reading. These are all foods I eat regularly, except salmon. The problem with salmon is the price, which is normally expensive. Is there any other way to substitute salmon and get the same benefits?